Over 3 years ago, we had tried Bing Sheng and had a great Dim Sum experience. Seeing that, we also checked out their dinner service. Yuk. That was not very good. Hence, we never went back, at least for dinner. Fast forward to the present and they have apparently changed chefs and revamped some of the menu. My parents were eying the dinner for 6 which regularly goes for $168.00. However, on a weeknight, it is only $138.00. Being the typical Asian people that we are, we couldn't resist. For a weeknight, the place was mostly full, so it appeared that their dinner service was heading in the right direction. The first dish to arrive was the Crispy Milk with Spare Rib in Salad Dressing. Yes, fried milk. 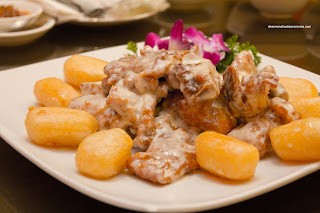 If you haven't had this before, think flour-thickened sweet milk which is battered and fried. It's sinfully good. The one here was, in fact, done right with a crispy exterior except the batter was pretty oily. The milk had a nice consistency and wasn't too sweet. As for the spare ribs (they were actually pork chops), they were prepared in nice sized pieces which could be easily eaten without a need for a knife. They were meaty, moist and really easy to chew (while still retaining a meat texture). I'm not normally a huge fan of mayo-based sauces, but this one wasn't too bad as there was just enough of it, but it was really sweet though. Up next was the Peking Duck (which came in 3 courses) much to my son's excitement. 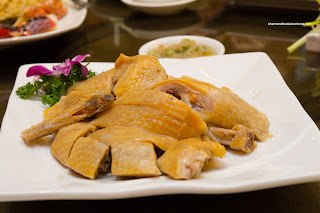 He absolutely loves crispy duck skin... Maybe he has some hope as a foodie after all... The skin had a beautiful roasted colour where it was crispy and light. The fat was nicely rendered (or removed) while the attached meat underneath was a bit dry. We loved how they didn't cheap out on the hoisin and gave us lots. I hate it when a restaurant gives a puny dish of hoisin that is gone after a few spoonfuls. The crepes were thin, soft and only a touch gummy. 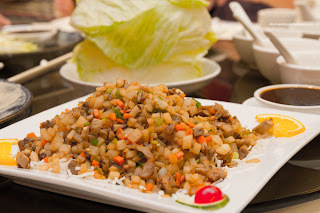 The second course of the Peking Duck was the typical Lettuce Wrap. The properly sized diced veggies were crunchy with lots of duck nestled in between. The filling was on the milder side, but with plenty of hoisin, it wasn't a huge problem. We liked how they trimmed the lettuce into medium-sized cups which were easy to handle where it held a good amount of filling. Too many restaurants just merely hack it up and it is actually a chore to wrap the ingredients. 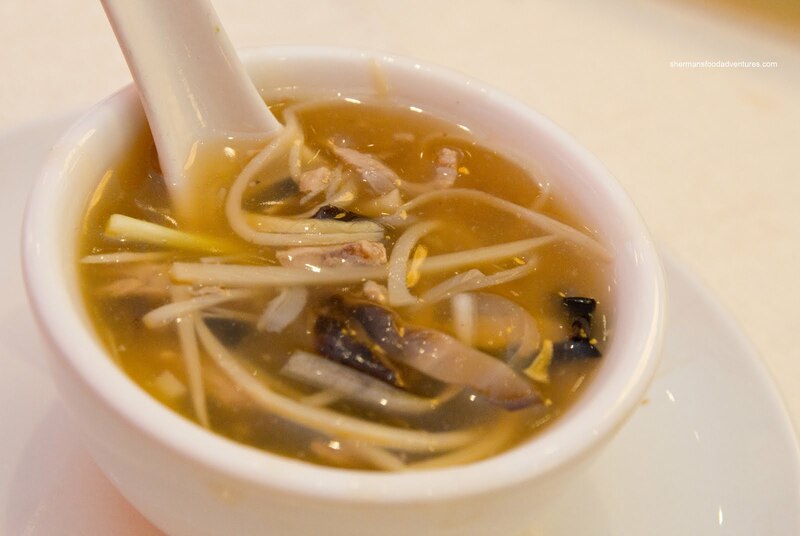 Moving onto the third Peking Duck course, we had the Dried Fish Maw & Duck Soup. 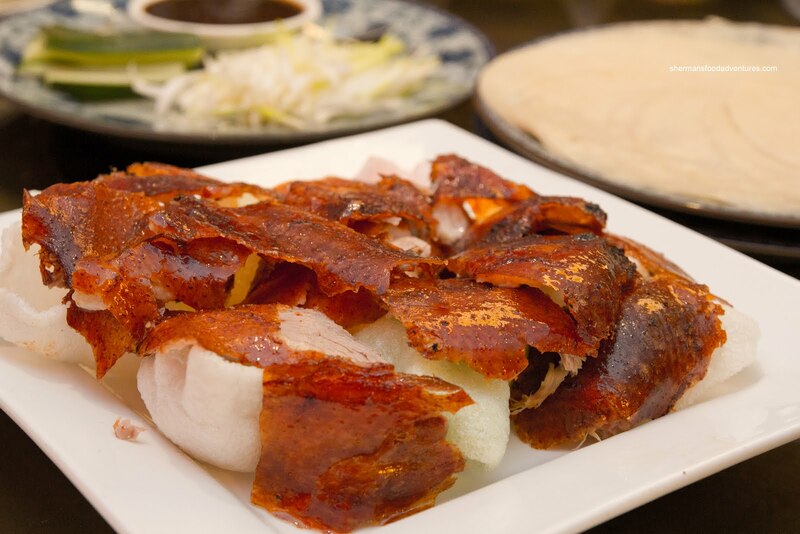 It consisted of dried fish maw, duck, flowering chives, wood ear mushrooms, shiitake mushrooms and bamboo shoots. There was quite a bit of duck, as well as bamboo shoots. Normally, that wouldn't be a problem, but the shoots could've been rinsed a bit longer because it became the predominant flavour. The soup was silky with the right consistency (just enough starch) and was bordering on being salty. Arriving on a bed of wonton noodles, the Sauteed Fresh Lobster in Supreme Stock Sauce was perfectly cooked (fried that is). The meat was sweet and had a nice bounce texture to it. The noodles were al dente and helped soak up the mildly seasoned sauce. Since there was quite a bit of noodles, it would've been good if there was more sauce. Next was the Steamed Chicken with the usual grated ginger and green onion condiment. First off, we liked the overall appearance of the chicken as there was a sheen along with the pleasing colour. The skin looked "tight" and there was a layer of gelatin underneath. Since it was a free-range chicken, the meat was slightly chewy, yet still moist. Even without dipping it into the condiment, the chicken had enough seasoning to hold its own. 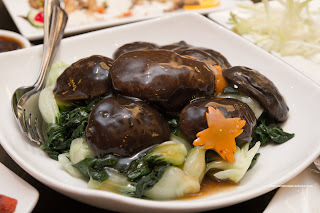 Moving along to our veggie dish was the Braised Baby Bak Choy with Shiitake Mushrooms. Despite the high probability of a watery outcome (since bak choy lets out a lot of moisture), the dish was surprisingly not (I realized the irony of tight and moisture in the same post...) The bak choy still had a crunch and due to the good wok heat, the pool of water at the bottom of the plate was kept to a minimum. Further helping the cause was a silky oyster-based sauce that was properly starch-thickened. On top of the bak choy were large tender and plump rehydrated shiitake mushrooms. Our last savoury dish was the Yeung Chow Fried Rice. 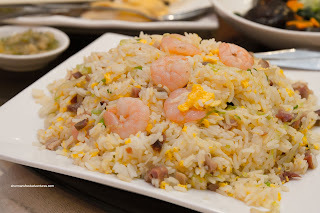 This thing was loaded with lots of lean BBQ pork, plump cold water shrimp and egg. The rice was a touch soft, yet still retaining a slight chew. Although there wasn't a whole lot of salt added to the rice, it wasn't bland. We liked how it wasn't greasy either. For dessert, we were accepting the fact the dreaded sweet red bean soup would be coming our way. To our utter surprise, that was not the case. 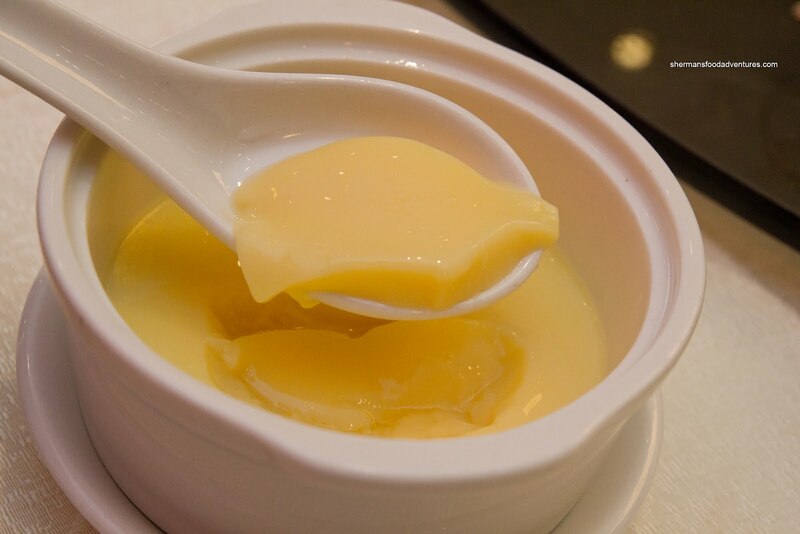 In addition to a plate of cookies, we were each presented with a Steamed Egg Custard. Although it was on the watery side, the custard was still silky smooth and only semi-sweet. We would've liked to see a bigger ginger hit as the flavour of the custard was mostly one note. 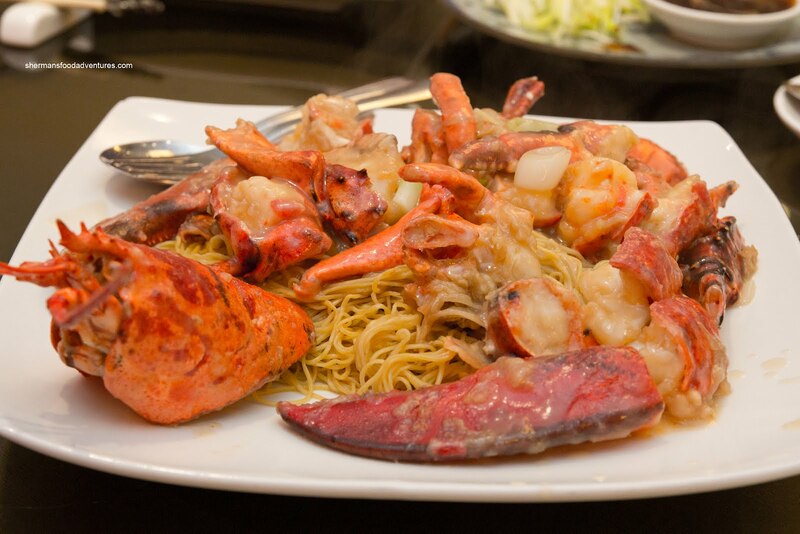 At the end of the meal, we were impressed to see that they had, in fact, improved their dinner service noticeably. 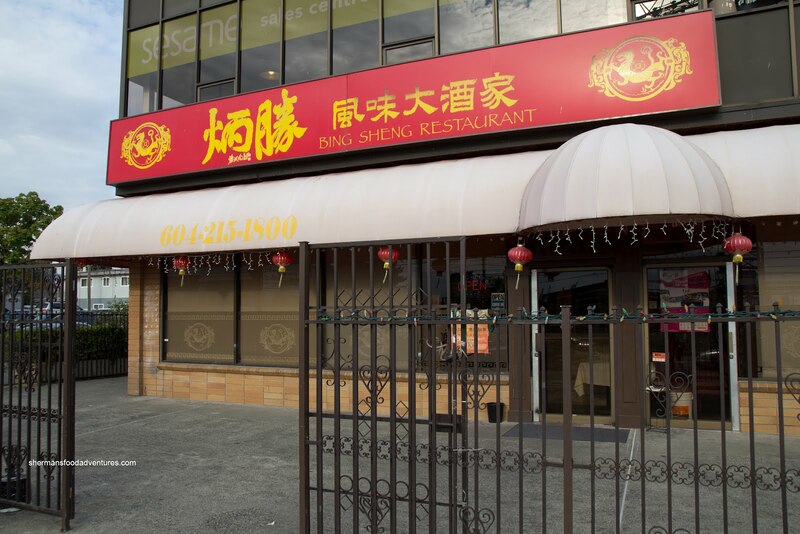 Considering the reasonable pricing, Bing Sheng has now become another solid choice for dinner. a couple of questions though - is there a reason you don't post prices and how the heck do you and the rest of your supporting cast eat all of the food you review? @earl nelson Thanks! Well, I generally try not to post prices because they change quite often. I do make comments if the price is outrageous or a good value though. I'm not sure how we eat all the food... We're hungry I suppose. We do play sports beforehand though.